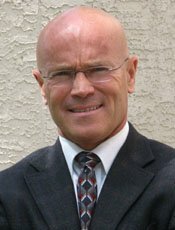 Geoff Green has been practicing criminal law in Edmonton since 1994. To send a message to Geoff use the form on the Contact Us page. Geoff was originally from Winnipeg but mostly grew up in Ontario. He was an avid hockey player and he continues to coach hockey at a very high level to this day. Winner of the Memorial Cup! The highlight of Geoff’s amateur career may well have been his first year of junior. In that 1972-73 season, Geoff played for the Toronto Marlboros under head coach George Armstong (Toronto Maple Leafs) and with team mates that included Mark Howe, Marty Howe and Mike Palmateer. After winning the OHL championship the “Marlies” went on the to win the Memorial Cup in the Montreal Forum, defeating the Quebec Ramparts (Andre Savard, Guy Chouinard) and the Medicine Hat Tigers (Tom Lysiak, Lanny Macdonald, Bryan Maxwell). Geoff was drafted to the NHL by the New York Islanders in 1975. He was chosen #183 overall. Geoff was a highly skilled forward and racked up a lot of points through his junior career. But it was the Broad Street Bully era of the mid 1970’s when big was in and at 5’9” in height it is a testament to Geoff’s skill level, and tenacity, that he was drafted at all. Geoff brings the same determination that he had as a hockey player to his legal practice!